Prince Valryan Molan has been sent to present to the people of Celosia the reality of the King, even though He is not readily perceived by the five senses or logic, the Stoic beliefs of Celosia’s ancestors. Valryan finds his mission hampered by his bride’s reluctance to marry and the immediate need to protect the people from illegal fire weapons. This story blew me away. I found myself engrossed to the point where I thought about the book all the time. The story was achingly beautiful. The heroine Amyaryllis was strong, yet vulnerable in that she feared any kind of weakness. The hero was similar, but in a very masculine way. Valryan was probably the most heroic character I’ve read in the past year. I loved how the author showed his struggle to follow the King in everything that he did, from his gut-wrenching honesty, to his complete humanity. He was by no means a feminine-thinking man, which I think made me love him more… because he thought like a man would think. Too often we female authors soften our male heroes up to the point that they are not realistic. This author created a spiritual man in Valryan who was thoroughly lovable and very masculine. The way Valryan talked to himself and cried out to the King when he struggled was especially powerful. I loved how he sought the King to help him have more faith and to believe that the King’s Word to him would work out in the end. His desire for everyone to know the King was heart-warming and enviable. I loved how he nick-named his wife sparky and how he used that to tease her in a loving way. Their growing relationship was breathtakingly beautiful. I loved the faith aspect of this book and how the author showed the progression so beautifully. She touched on the heart of humanity and the desire for purpose and meaning. She also touched on the fear that often keeps people from the truth and how loving someone like Christ loved us does indeed — over time — draw the lost to the King. We just need to be patient, consistent, and genuine in our relationships with those we love. Of course, we can only get that kind of strength through constant communication with the King. The message about marriage was especially strong as were the truths that the hero learned through the King about how loving Him first made everything else the way it was intended to be. 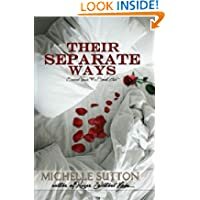 I found their joining prior to his wife knowing the King to be especially powerful since it reflects on the human love that often leaves us very insecure and dissatisfied in marriage. With the King’s presence in marriage, however, the is beauty of marital love is beyond description and His presence is indeed with us. We need to use that reality to give us courage and strength. We need to be willing to trust the King completely. The way the author showed how the hero being trustworthy increased the heroine’s ability to trust the King was incredibly insightful. So was the way salvation was described to someone who didn’t even believe in God, and the revealing of the Scriptures. Awesome, awesome book. I’d give it ten stars if I could. Fire Starter was published by Desert Breeze and released in August 2012. 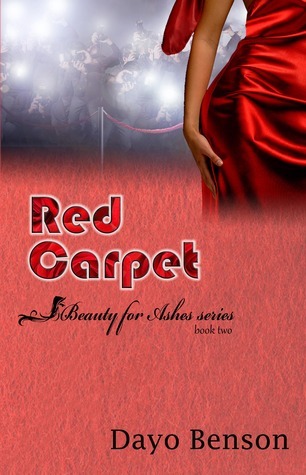 Successful career gal Kendall Haynes is tired of wishing on stars for a home and a family. Can God’s dreams for her be even better than her own? What does a girl do when life doesn’t go according to her plan? At thirty-six, Kendall Haynes has seen some of her dreams come true. She’s a family physician helping kids with severe allergies and asthma achieve more fulfilling lives—a childhood struggle she knows all too well. But are Kendall’s dreams of having it all—a career, a husband, children—nothing more than a childhood fantasy? God says He knows the plans He has for her—why can’t Kendall figure them out and be content with her life? Griffin Walker prefers flying solo—both as an Air Force pilot and in his personal life. But a wrong choice and health problems pulled him out of the cockpit. His attempts to get out of “flying a desk” are complicated by his parents’ death—making Griffin the reluctant guardian of his sixteen-year-old brother, Ian. How did his life get so off course? Can he get his life back on track…or has there been a divine plan all along? 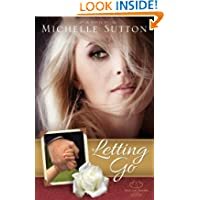 Catch a Falling Star reminds readers that romance isn’t just for twenty-somethings and that sometimes letting go of your “wish I may, wish I might” dreams is the only way to embrace everything God has waiting for you. Catch a Falling Star is my kind of contemporary romance. There wasn’t anything I disliked about it. Even the subplot about the other doctor didn’t need to come to a final conclusion since it wasn’t key to the love developing between the heroine and the hero. I loved watching their relationship transform him over time. I was thrilled that Kendall finally found a relationship that made sense, but also filled her heart with the completion she desired. 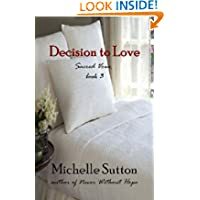 She wasn’t pining away for a man, but it did bother her that her life wasn’t as complete as she hoped it would be by the time she was in her late thirties. The cool thing was I didn’t feel like I was reading about older people falling in love. I’m in my late forties, so I can still enjoy an almost-forty couple in a romance and still feel like they are young. Older couples, like in their sixties, are not something I enjoy reading… yet. The subplot with Evie, Kendall’s employee, was heart-felt as well. It moved me to tears when she and Ian, Griffin’s brother, talked about his childhood before adoption. Having done many adoptions myself, I saw exactly what kills many adoptive families before they get very far. The author did a great job showing that it wouldn’t be easy and that rejection is part of the deal as the child heals over time. There is a way to get beyond that if everyone sticks it out and reacts the way the child needs. Anyway, that was beautifully done. What I liked best about the story was probably how the faith element was present, but not overpowering to the point it was the entire focus of the story. Kendall and Griffin seemed more realistic as characters because they had realistic thoughts. I liked that they were both believers. Kendall’s relationship with the other doctor showed that saying you are a Christian doesn’t keep you from using others for your own gain. Her heart knew Griffin was the one for her. I’m glad she finally listened to him. Oh, and that dog Sully was a sweetie. I think her relationship with her dog made the story better because it added a side to her you might not otherwise see. Anyway, great story. I wish I had gotten to read it sooner before the endorsement deadline, but the book doesn’t release until May 2013, so I still got a chance to read it early. Make sure to pre-order this one on Amazon.com. Catch a Falling Star was published by Howard Books and releases in May. Get your copy pre-ordered now by clicking on the link above. Dorothy Lynn Dunbar has everything she ever wanted: her family, her church, her community, and a budding romance with the young pastor who took over her late father’s pulpit. Time spent in the woods, lifting her heart and voice in worship accompanied by her brother’s old guitar, makes her life complete . . . and yet she longs for something more. Spending a few days in St. Louis with her sister’s family, Dorothy Lynn discovers a whole new way of life-movies, music, dancing; daring fashions and fancy cars. And a dynamic charismatic evangelist . . . who just happens to be a woman. When Dorothy Lynn is offered a chance to join Aimee Semple McPherson’s crusade team, she finds herself confronted with temptations she never dreamed of. 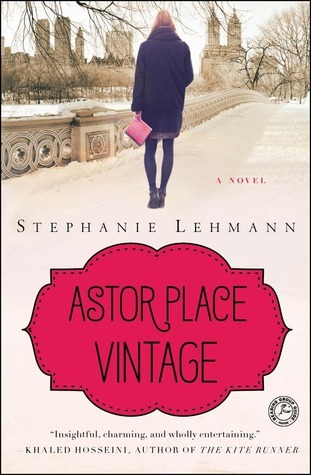 Can Dorothy Lynn embrace all the Roaring Twenties has to offer without losing herself in the process? All for a song was a great story. In short, it was about a young woman who had never left her home town before, and prior to getting married (and stuck there forever) she wanted to see what she was missing. She got a whole lot more than she’d bargained for, but it taught her some important lessons about what truly mattered. Life is full of disappointments and sometimes we make the stupidest decisions. We have to live with the consequences, and there is no getting around them. This novel explored the historical movement that started the Four Square church and you see snippets of the first real female evangelist, Aimee Semple McPherson, and her crusade team. That was pretty interesting and I had mixed feelings about what she represented, especially since she lived in luxury as did her staff, all as the result of donations. But that’s an aside. She also didn’t like anyone stealing the limelight, so in many ways it seemed like a realistic portrayal. I thought Dorothy Lynne’s struggle with pride when she was coaxed to go on stage to lead worship was pretty powerful stuff. Roland was a very charismatic man, who in some ways made me think of the devil. Not because he was bad per se, but because of the things he said to her to entice her into becoming famous. This story had a little bit of edge to it, but not enough to upset conservative readers. It showed some of the consequences of her choices, but none of them were hair-raising or scandalous. They were dealing more with pride and vanity. I liked how the author included alternating snippets from the modern day as Lynn celebrated her 107th birthday in the “rest home” for senior adults. She had a lot to reflect on and it was interesting because you didn’t know until near the end who she ended up with. I liked how that scenario slowly unfolded, providing a satisfying ending to the book. I enjoyed reading this one. 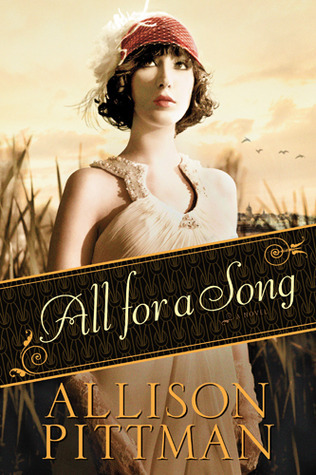 All for a Song was published by Tyndale and released in February 2013. It’s the turn of the twentieth century and drifter Hugh Brennan is a man well acquainted with betrayal. Hugh finds himself drawn to the attractive widow, Julia, yet when he looks into her eyes, he recognizes the same hurt that haunts him. 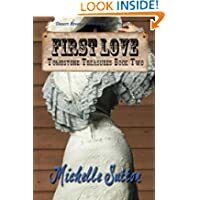 Julia Grace has little reason to trust men, but she’s going to have to trust someone if she’s to keep her ranch from the clutches of her dead husband’s half-brother. Is it possible God had a hand in bringing Hugh to her door? 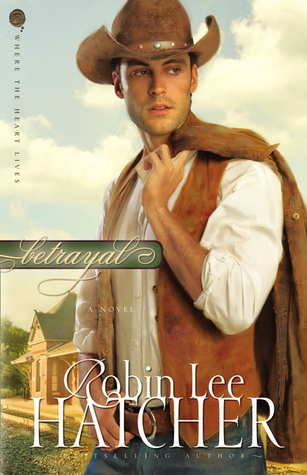 The latest historical romance from award-winning author Robin Lee Hatcher and the second book in the Where the Heart Lives series, Betrayal will take you to the high desert of western Wyoming, through the crags of the Rocky Mountains, and into the hearts of two seekers learning to trust God’s love no matter the circumstances. Betrayal is another fabulous story by Robin Lee Hatcher. This one is worth your time. Not only does it have a hot cowboy on the cover, but the romance is tender and sweet. The pull between them is sigh-worthy. I love stories where wounded people are healed by love. Julia needed a man like Hugh to teach her that all mean aren’t beasts. There were many good lessons for the heart in the story as well as some scriptural truths. You can read this without reading the first book in the series, but I liked knowing about Hugh’s family background prior to opening this book. 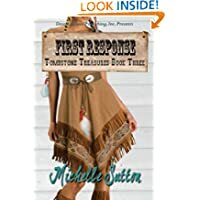 For lovers of inspirational romance containing hot cowboys and ranching, this novel is sure to be enjoyable. The heroine is independent and strong, yet fragile and sweet at the same time. Fans of Robin’s writing will find another book to love if they crack this one open. Betrayal was published by Zondervan and released in Nov. 2012. Kansas,1881–On a trip to visit relatives, Emma Switzer’s Amish family is robbed of all their possessions, leaving them destitute and stranded on the prairie. Walking into the nearest trading settlement, they pray to the Lord for someone to help. When a man lands in the dust at her feet, Emma looks down at him and thinks, The Lord might have cleaned him up first. Luke Carson, heading up his first cattle drive, is not planning on being the answer to anyone’s prayers, but it looks as though God has something else in mind for this kind and gentle man. Plain and rugged–do the two mix? And what happens when a dedicated Amish woman and a stubborn trail boss prove to be each other’s match? I’m not much of an Amish fiction fan, though I have enjoyed a few over the years. But I love love love historical fiction. So when the opportunity to read a combination of both came, I thought, why not give it a try? Well, I ended up loving it. The story was so heartfelt, and rather than making it sound like religion was the answer (the Plain life) it focused on Love being the answer. All in all, it was a warm, heart-felt novel. I had a warm glow in my chest at the end. We give up a lot of things for love, but the truth is without love, many of the things we used to care about mean nothing anyway. I loved that message in this story. It was loaded with adorable humor and distinct characters. The grandmother was a hoot, and honestly, there wasn’t a character I didn’t like…well, other than the bad guys. I’d highly recommend this book for people who want a feel-good read, but one that has a bit of spiritual depth to it as well. The Heart’s Frontier was published by Harvest House and released in March 2012.